Authorities in Vermont and New York plan to take another look for a plane that went missing 43 years ago over Lake Champlain. The private jet had five people aboard when it disappeared in a 1971 snowstorm. It was a January evening when the 10-passenger twin engine jet left Burlington bound for Providence, R.I. The Rockwell Jet Commander, owned by an Atlanta real estate company, was recorded on a single radar blip at 5,000 feet, and "then was gone on the very next sweep just seconds later," according to a news release from the Vermont Department of Public Safety. Early searching was fruitless and, within days, the lake had iced over. The following April, small parts of the plane floated ashore in Shelburne. The plane has never been found, despite searches with infrared, sonar and submarine technologies. 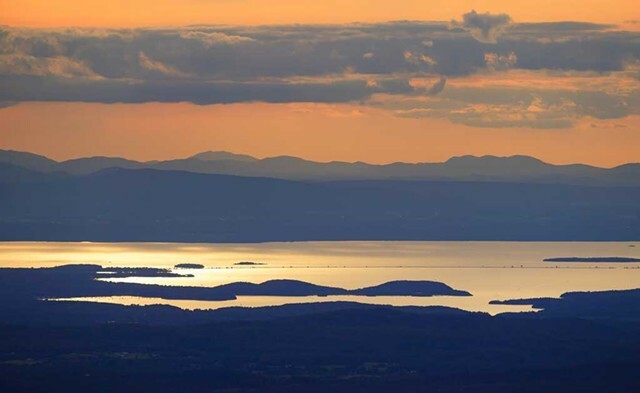 According to the press release, Malaysian Airlines Flight MH370, which went missing in March, got people talking again about the Lake Champlain mystery. Individuals and state and volunteer agencies have formulated a plan to search the lake with more modern equipment, including side-scanning sonar, underwater vehicles and a submarine. Vermont and New York state police will be involved, along with the New York Department of Environmental Conservation. Some boating traffic may be restricted; the efforts are scheduled to begin this month. "The goal," said New York State Police Captain John Tibbitts, "is to locate and recover the remains to finally bring closure to these families." The plane was carrying two crew members and three passengers when it went down.